Absolutely adorable mini clutch! Completely decorated with tiny pearl-like beads. 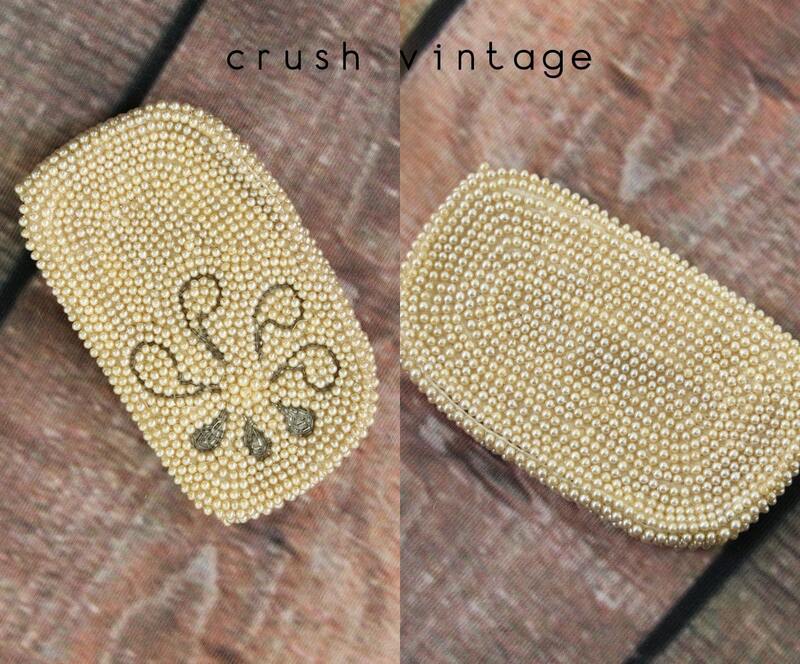 Small silver beads form a loose flower shape on the front right side of the purse. Lined in a a shiny white satin. Top metal zipper closure.